Welcome to Paint By Number For Adults! 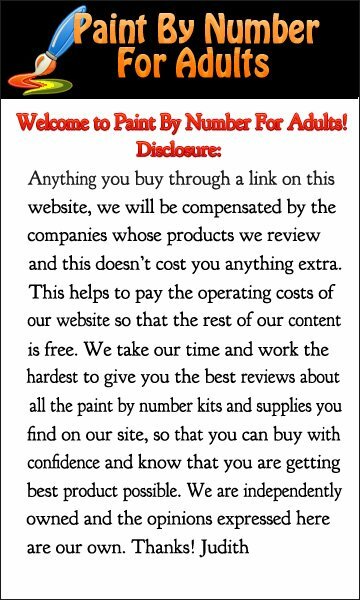 Paint By Numbers is a place where you will discover the latest and best Adult Paint By Number Kits, along with additional art tools and supplies that you may be interested in. You will also find gifts for that special budding artist or Paint By Numbers enthusiast. There is a little something for everyone. If you are new to Paint By Numbers you’ll even find a little bit about the history of how this 1950’s postwar popular pastime phenomenon found it’s way to a special exhibition in 2001-2002 at the Smithsonian – National Museum of American History. More than 60 years later this hobby is still going strong and in the past few years there has been a resurgence of this popular hobby with more and more new Paint By Number Kits available to buy. Most of the Paint By Number Kits of the 1950’s and 1960’s originated from Craft Master and depicted nostalgic scenes, but as the years have passed more companies such as Schipper, Plaid, Dimensions Paintworks, ColArt, and Royal Brush & Langnickel are now providing us with a vast selection of beautiful Paint By Number Kits to choose from. For many people being able to sit down and produce a recognizable painting or drawing is an insurmountable task. That being said, doing one of these paint by number kits gives anyone a chance to try their hand at producing a painting that they will be proud of. 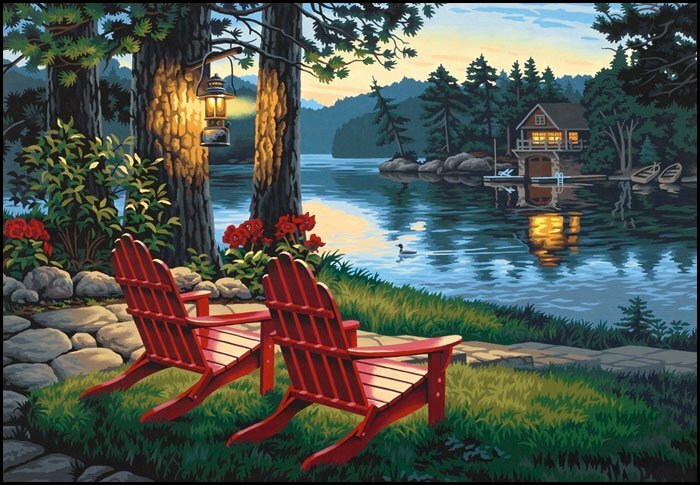 The one thing that many people have said is that by doing a paint by number painting they were introduced to the tools of the art and also they became familiar with the process of painting. With the Paint By Numbers method anyone can paint a beautiful picture, by simply painting the numbered and outlined surfaces with the paint colors that correspond to each number. Once your painted picture has been completed, you will barely recognize the fact that it was painted by this method. Therefore, no matter what age you are as a hobby artist you will be able to fulfill your hidden desire of painting with the large selection of motives now offered.